Elephone is now expanding their products. 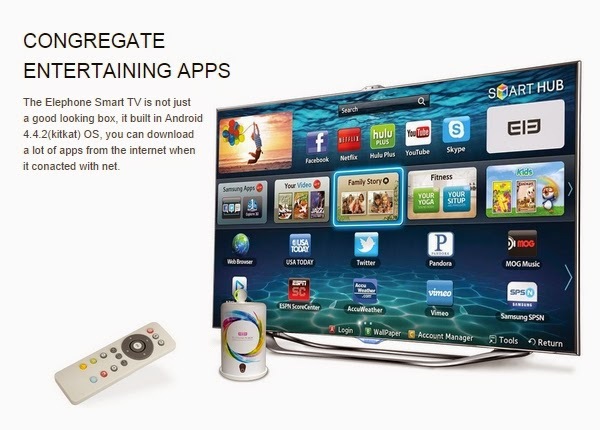 TV BOX is the extension of Elephone devices. Elephone now make the debut of G4 and TV BOX together and you can soon find it at DealExtreme. From September 29th to October 15th. G4 is 106.99 USD and TV BOX is 79.99 USD. While the debut is over, G4 costs 108.88 USD and TV BOX costs 88.88 USD. Also there is a bonus for G4 customers, the earliest 100 customers will get free 16GB TF cards and the earliest 1000 customers (except the earliest 100 customers) get 8GB TF cards. (Source from Elephone, full permission given). What is the TV BOX? 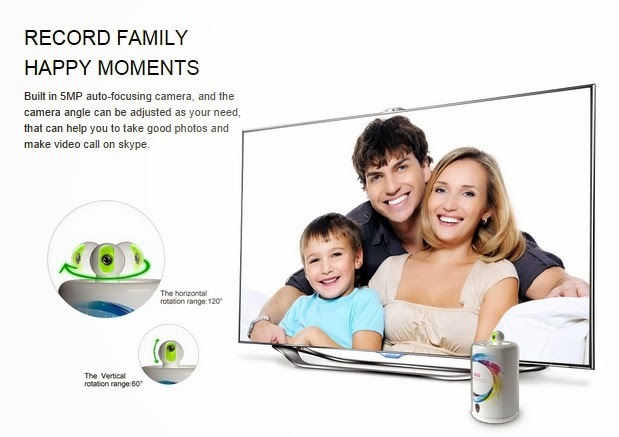 The Elephone TV BOX (Wifi/Optical Rotatable camera) is a combination of a remote monitoring network television set-top box, Gaming & Entertainment box. 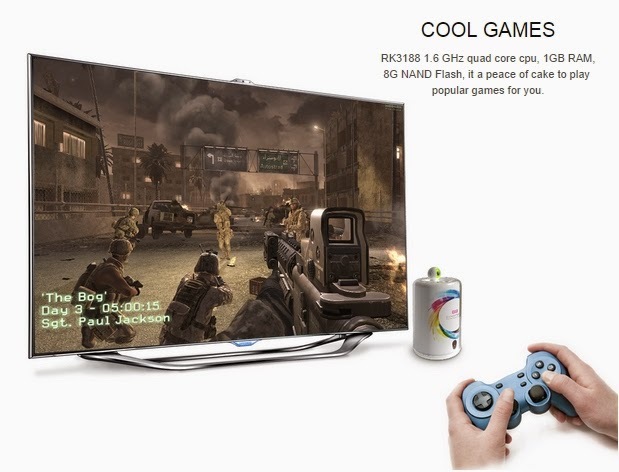 The specifications of the Elephone TV BOX is: RK3188 1.6 Ghz Quad Core CPU and has 1GB RAM & 8GB Nand Flash. 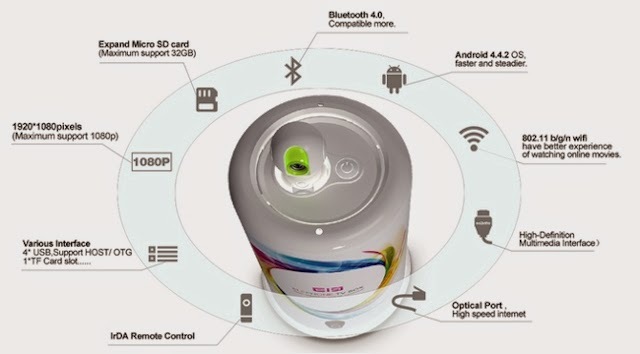 Built-in Android 4.4.2 KitKat OS and a 5MP auto-focusing optical rotatable camera (works with Skype). Full support for 1080p, Video On Demand (stream movies), Gaming, Photosharing and direct access to surf on the web - all in your control.